He announced his return on Instagram. 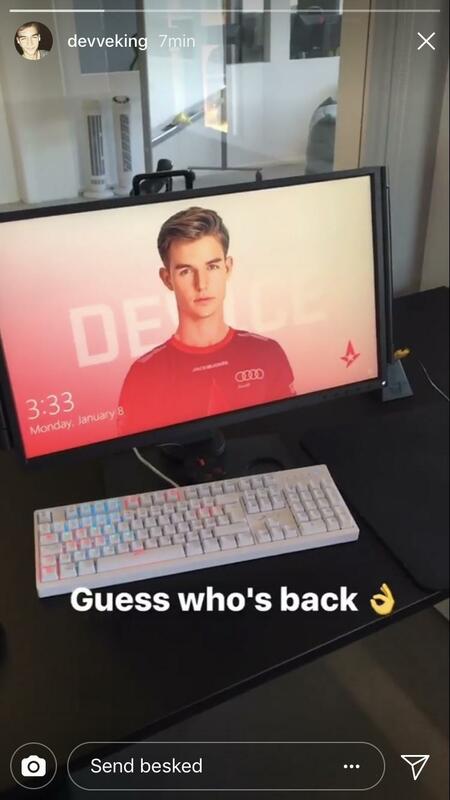 During the Blast Pro Series tournament last November in Copenhagen, Astralis had to play without their player Nicolai 'dev1ce' Reedtz due to medical reasons, and there was some doubt as to whether he'd be able to play at this month's Eleague Major: Boston as well, but a new Instagram story shared on Reddit seems to indicate he'll be playing at the tournament. The story comes with the caption 'guess who's back', and this can only be good news for Astralis, who have been playing with stand-ins during his absence. Do you think Astralis can be major contenders in Boston now that he's back?